Markets in 59 out of the approximately 350 metro areas nationwide returned to or exceeded their last normal levels of economic and housing activity, according to the National Association of Home Builders/First American Leading Markets Index (LMI), released recently. This represents a net gain of one from the previous month. The index’s nationwide score held steady at .87. This means that based on current permits, prices and employment data, the nationwide average is running at 87 percent of normal economic and housing activity. Meanwhile, 32 percent of metro areas saw their score rise this month and 84 percent have shown an improvement over the past year. “The number of markets on this month’s LMI at or above 90 percent of previous norms has climbed to 130 – a positive trend to watch as the year progresses,” says Kurt Pfotenhauer, vice chairman of First American Title Insurance Co., which co-sponsors the LMI report. 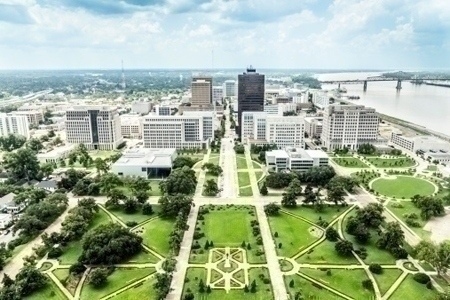 Baton Rouge, La., tops the list of major metros on the LMI, with a score of 1.41 – or 41 percent better than its last normal market level. Other major metros at the top of the list include Honolulu, Oklahoma City, Austin and Houston, Texas, as well as Harrisburg, Pa. and Pittsburgh – all of whose LMI scores indicate that their market activity now exceeds previous norms. Looking at smaller metros, both Odessa and Midland, Texas, boast LMI scores of 2.0 or better, meaning that their markets are now at double their strength prior to the recession. Also at the top of the list of smaller metros are Casper, Wyo. ; Bismarck, N.D.; and Grand Forks, N.D., respectively. For historical information and charts, visit nahb.org/lmi.